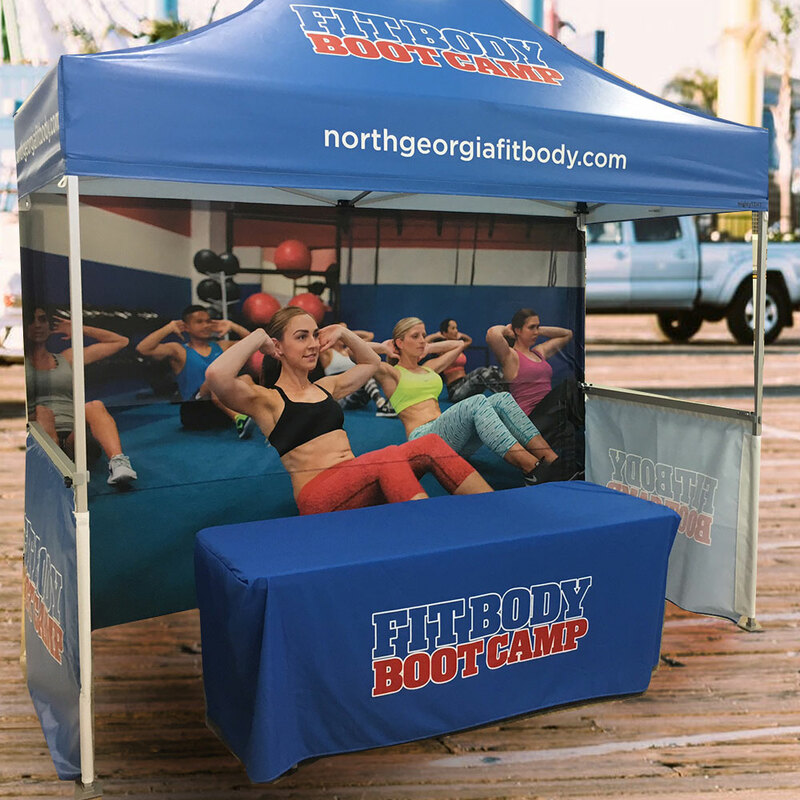 Edge-to-Edge Printing on Tent Back-walls and Half-walls. Available in a full or half wall to compliment your tent system. 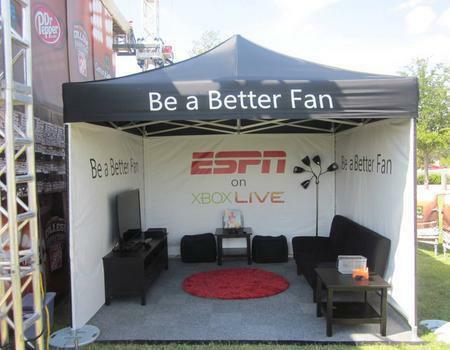 It's our belief that a world-class tent deserves world-class graphics. We have a fleet of digital printers to handle numerous substrates and print methods. We can print on mesh walls, clear vinyl walls, sidewalls with windows, walls with doors, and walls with zippers. Tent wall options are endless. 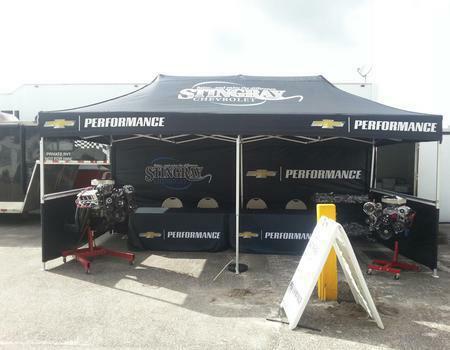 Let an outdoor event specialist guide you to the best tent system possible. 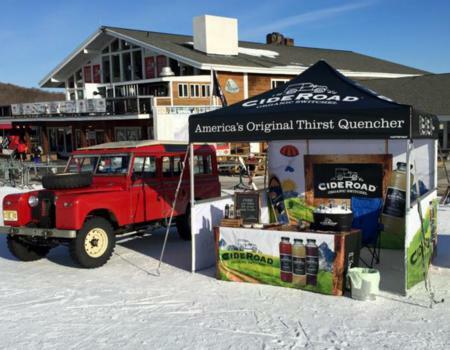 Over 10 years of experience creating incredible outdoor events for brands like these. See the gallery for additional examples of our work. 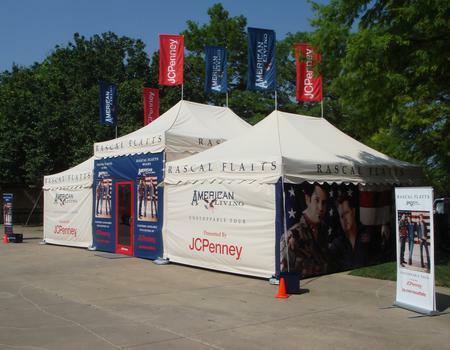 Why Choose Custom Tent Walls? 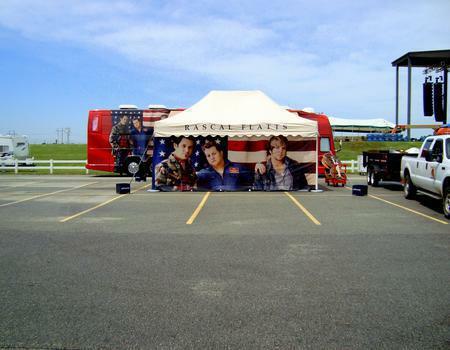 Increase visibility and capture more attention during your outdoor event. Perfectly match and compliment your tent system. Any color combo, any graphic and single or double-sided printing available. 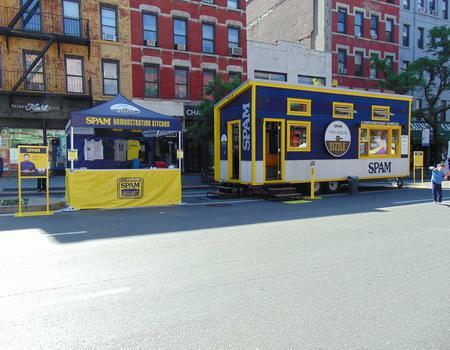 Display your brand and messaging in just the right spots. We can print on mesh walls, clear vinyl walls, side walls with windows, walls with doors, and walls with zippers. We can do it all —from simple walls displaying your logo to the more complicated. 1. Start the conversation with a quote request. We work where it’s easiest for you. After answering just a few quick questions, we can make sure your request is directed to the best person to help bring your project to life. 2. We’ll help guide you to the perfect solution. Our team consists of skilled event experts, artists and customer service savants who live and breathe outdoor custom solutions 24-7. We’ll hear your challenges, learn about your specific use case and guide you into a tailored solution. 3. We’ll show you how awesome it’ll look. Once we figure out your product fit, our team of professional artists will craft a document to help you visually see what the finished product will look like at no cost. If you don’t like the first version, we’ll keep working with you until we hit a homerun. 4. We'll build it and ship it. All within 3-days your custom product is printed, cut, hand-sewn, assembled, quality checked and shipped out our door and on its way to you. American Craftsmanship built into each and every project. We’re masters of our craft, driven by grit, gumption, and our unwavering commitment to elevating your brand. 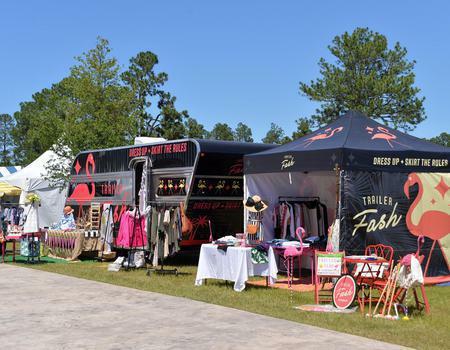 From custom pop-up tents to event accessories to experiential footprints, we do it all and we do it well. We’re interested in becoming an extension of your team, committed to your brand and the impressions you'll make. We’re different. We’re experienced. We’re TentCraft. Let’s make something together.